The JEEP II reactor at Kjeller makes neutrons available for researchers nationally and internationally in areas like fundamental physics, material science, medical applications and renewable energy. The JEEP II reactor has been in operation since 1967. The reactor is part of the national research infrastructure for basic physics research and materials technology. Research in materials and nanotechnology is often based on experiments using advanced research infrastructure. The use of X-rays, electrons and neutrons is central to investigations of atomic and molecular structure in materials. In this context neutrons are distinctive and provide unique information. Neutrons produced in a research reactor such as JEEP II has special properties that are necessary for the development of important materials and technology within renewable energy, the environment and medicine. 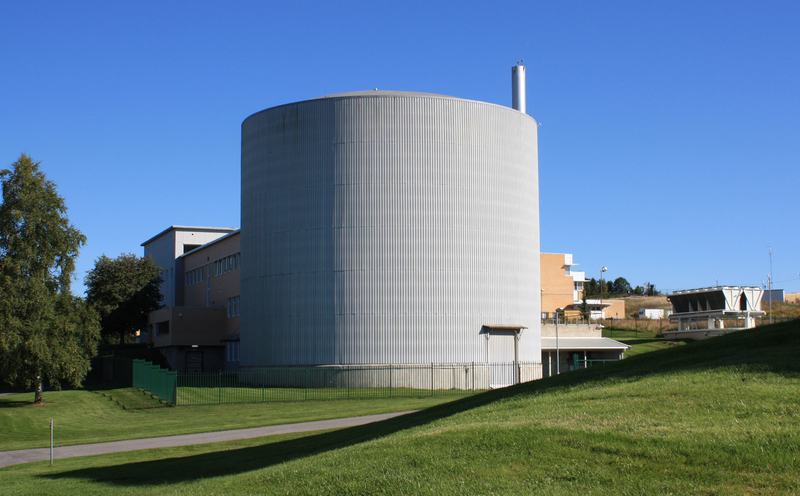 JEEP II is the only experimental facility to the Norwegian Center for Nuclear Research (NcNeutron), and the only facility in the Nordic region of this type. Over the period 2016-2020, NcNeutron will receive over NOK 30 million in infrastructure funds from the Norwegian Research Council. In NcNeutron, both SINTEF, the University of Stavanger, the University of Oslo and NTNU participate. Read more about NcNeutron here. Neutron was discovered in 1931, and during the 1940s, it became known that neutrons are freely available in a nuclear reaction. Gradually came the recognition of this kind of research; Empirical testing of materials for particles and light of different grades is the backbone of materials research. Neutrons are more sensitive to light atoms like hydrogen and carbon than x-rays. They are very useful in studies of hydrocarbons and biological materials. Neutron is still a key part of material research, but it has come to new facilities with greater opportunities for insight into increasingly detailed properties of the materials. Neutron scientists have developed third generation neutron sources based on spallation technology (splitting = nuclear nucleus splitting into three or more parts). The world’s largest spatial source is being built in Lund, Sweden, (ESS) and is scheduled to be completed in 2023. NcNeutron has a strategic partnership with ESS on the use of JEEP II as a test facility for instrumentation for ESS, student training and preparation of experiments that will be carried out later by the ESS. Read more about ESS here. JEEP II is a national competence center for neutrons and fission, for education levels, and an international partner for research and development projects in neutron technology and in the development of medical and industrial use of radiation sources. The main customers for JEEP II are national knowledge and education institutions within NcNeutron. Since the reactor is easy to operate (start/ shut-down), it is also suitable for the production of various isotopes for medical research or industrial purposes. With a reactor comes a complete infrastructure for radiation protection and security that is unique to IFE and Norway. it is also a commercial market for irradiation services for the medical industry and other industry, which is central to getting the entire business at the facility to go around. Since fission is central to neutron production, JEEP II is a center for understanding fission, reactor safety, security and nuclear disarmament verification as well. Over the past 10 years, several exercises have been conducted regarding the verification of nuclear weapons disarmament in cooperation with national agencies such as the Ministry of Foreign Affairs and the Norwegian Defense forces.